Our epoxy flooring pros in Orlando have the skills and training to provide an ideal shine for your company’s unique flooring needs. Concrete acid stains can update the appearance of your concrete floors, creating a unique look that can be further personalized by our flooring contractors. Why should your business consider concrete acid stain? What Are Concrete Acid Stains? This flooring additive consists of a water-based product that holds minerals and acids in order to stain the concrete and achieve a customized finish. Concrete flooring is porous in nature, allowing this stain to penetrate the surface and chemically alter the mixture. You can add one or two coats of acid stain to create depth and variation within your concrete floors. This floor finish can create a quality barrier against stains and damages, adding decorative elements that can truly enhance the look and shine of your business. We can personalize our services to help businesses across nearly every industry, so be sure to call us to see how we can enhance your floors! 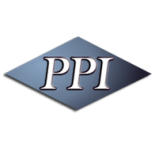 PPI Flooring of Orlando can create the best outcome for your commercial floor system, relying on our experience and training to protect your floors beautifully. They key to a high-quality stained concrete floor relies on the professionalism of your flooring contractors. Our team will clean the concrete surface and create a smooth, spotless shine. Once this is done, we’ll apply our proprietary stain and sealant to create a flawless floor that you’ll love. We believe that concrete floor acid stain applications are an art form, and will work diligently to produce a luxurious result for your business. Concrete acid staining can be utilized for a variety of surfaces, including countertops, basement floors, lobbies, and more. If you’re ready to see what our flooring specialists can do for you, then be sure to contact us online or fill out the form below!